2 Why on the forums? 37 Happy Groundhog Day from The 'Shroom! 39 Can it be reduced to 5? 54 This isn't an April Fool's joke! 66 Special Issue - Very important. 68 Can I remove this? 75 This isn't an April Fool's joke! 82 Have a Fun (Stuff) Holiday! 84 Howdy, howdy! Fun Stuff reminder time! 98 A Very Fun Stuff Christmas! 100 A New Era of Fun Stuff Starts Now! 107 Help, I've become director of Fun Stuff and I can't get up! 108 Vote vote vot--I mean, turn in your section! 115 This ain't clutter; it's Fun Stuff! 117 Dermatologists hate her! Try this quick trick to get your section in on time! 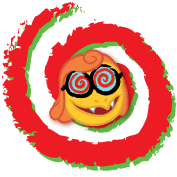 When I created the account Goomba man i did not insert my email account and 2 months later i forgot my password, so i created a new user. I am terribly sorry if this is a problem i wrote my email this time to make sure this never happens again. Once again i am very sorry for taking up your time and i wish you a good rest of your day(or night). I see you have to deal with an insane troller. Well, just be careful if you have to deal with one. You may accidentally block an innocent user who didn't sockpuppet. Hey there, Chester Alan Arthur! This is Lord Bowser, giving you a heads-up that your section(s) are due by October 13. Please PM me your completed section on the forums by then. If you need an extension, don't be afraid to ask for one, though please try to do so in good time. Please keep a copy of your section saved and on you in case of technical difficulties. If you have any other questions or concerns, feel free to contact me, and I will respond back to you as soon as I can, doing my best to solve your issues. Take your time on your section(s), though please keep your deadline in mind as you do so. Late sections will not be accepted without a valid reason. Thank you, and I look forward to your writing! Yeah, he accidently made two and he only wants one. Sorry for the trouble. He made a second/third/fourth account because his other accounts were blocked because we shared the same ip address. Excuse my brother. OK! He can log in know and he promised never to make another user. Ok. I'll warn him....hey, why don't you tell him this straight from his account? Hello. Just to let you know that User:LightningLuigi93 is a sockpuppet of User:Luigi79643. He forgot his password, and so created a new account. I AM NOT A SOCK. - Luigi79643 (talk), the user account SilverStarLuma (talk) told you about. Please PM me your Critic Corner section on the forums by no later than November 10th. If you are unable to send your section in on time please let me know as soon as possible so we can sort something out. Late sections will not be accepted except with a solid reasoning, and if you fail to send in your section regularly without proper notice you will be removed. With that said, have fun writing! This is Lord Bowser, giving you a heads-up that your section(s) are due by Nov 12. Please PM me your completed section on the forums by then. If you need an extension, don't be afraid to ask for one, though please try to do so in good time. I'd like your permission to create a page that says "User:Electrical Bowser jr./poll". There, I'll set up polls in the form of TPPs. If you agree to let me do this, thanks. This is Lord Bowser, giving you a heads-up that your section(s) are due by Decemeber 13. Please PM me your completed section on the forums by then. If you need an extension, don't be afraid to ask for one, though please try to do so in good time. Hi. Responding to your message, the "one week" thing doesn't apply, because it says here that one all objector's complaints have been resolved, the nomination passes. Also I was discussing and trying to resolve Vommack's oppose, not asking him to vote. Hey, I have a question, I wanna sign up for the Poll Commity. How do I do that? Tails777 Talk to me! O.K., thanks. Tails777 Talk to me! Please PM me your Critic Corner section on the forums by no later than December 15th. Thought it was redundant, as your comment said. So is there a point to keep it running for one more day? This is Lord Bowser, giving you a heads-up that your section(s) are due by January 14. Please PM me your completed section on the forums by then. If you need an extension, don't be afraid to ask for one, though please try to do so in good time. Hi, could I (or you or someone else) give this guy a warning? I think he was flaming Lindsay151 here. Hi, I was wondering, how do you apply to write for The 'Shroom????? Hello there, MDT. I would like to make crossword puzzles for the fun stuff section of the shroom. Is it OK to make a crossword as an image file that will need to be printed out to be solved? I will send you my work sample when I am finished. I want to join the 'Shroom, but want to know how do I let people know what position I want to be? Note: I want to do the Picross. This is Lord Bowser, giving you a heads-up that your section(s) are due by February 9. Please PM me your completed section on the forums by then. If you need an extension, don't be afraid to ask for one, though please try to do so in good time. Happy Groundhog Day from The 'Shroom! Please PM Super Mario Bros. and Gabumon your 'Shroom section on the forums (our forums, which one did you think?) by no later than February 9th. Please remember to save a copy in your outbox. If you can't, be sure to tell us soon and we'll be sure to punish you cruelly work something out. Hi, is it okay if I update Nintendo master 88's block template? Because I noticed that you just blocked him for another month for ban evading. Can it be reduced to 5? I'm talking about the 'shroom. Yeah, but the wiki policy isn't that well-defined. I don't think calling Mario "fat" isn't that offensive. I don't understand the line drawn between "creative" and "not-allowed" is, so I'm just a little confused here. And I believe Glowsquid confirming the ok (he even said don't fret about it) is not being too unreasonable with my decision, since of course, he knows what he is doing and he is a bureaucrat. I didn't take the reminder seriously because it wasn't official. I want to do the crossword and I am finished, but in the sign up secion of the forums, it says that you need to have an email address and I don't have an email adress, but I want to write for the Shroom! Really badly! If there is any way to help me join the shroom, I would be glad to do it, but I don't have an email. Could ya make the picture I just uploaded look better? Please? Please PM Super Mario Bros. and Gabumon your 'Shroom section on the forums (our forums, which one did you think?) by no later than March 9th. Please remember to save a copy in your outbox. If you can't, be sure to tell us soon and we'll be sure to punish you cruelly work something out. Tomorrow, I need to battle BabyLuigiOnFire. Can you help me to defeat him? This isn't an April Fool's joke! Please PM Super Mario Bros. and Gabumon your 'Shroom section on the forums (our forums, which one did you think?) by no later than April 13th. Please remember to save a copy in your outbox. If you can't, be sure to tell us soon and we'll be sure to punish you cruelly work something out. Marshall Dan Poop II Marshall Dan Poop 2.0 MDP on meth MDP on trains MDP the great MDP on YOU MDP and the seven sockpuppets MDP, Willy, and Smoke United! MDP is invincible MDP on drugs MDP can't be blocked MDP will troll YOU AND THIS RETARTED WIKI! Please PM Super Mario Bros. and Gabumon your 'Shroom section on the forums (our forums, which one did you think?) by no later than May 11th. Please remember to save a copy in your outbox. If you can't, be sure to tell us soon and we'll be sure to punish you cruelly work something out. Special Issue - Very important. Please PM Super Mario Bros. and Gabumon your 'Shroom section on the forums (our forums, which one did you think?) by no later than June 8th. Please remember to save a copy in your outbox. If you can't, be sure to tell us soon and we'll be sure to punish you cruelly work something out. This is Lord Bowser, giving you a heads-up that your section(s) are due by October 15th. Please PM me your completed section on the forums by then. If you need an extension, don't be afraid to ask for one, though please try to do so in good time. I use an iPad nowadays, and this comment clogs up my screen. Are you allowed to remove it at least? This is Lord Bowser, giving you a heads-up that your section(s) are due by November 9th. Please PM me your completed section on the forums by then. If you need an extension, don't be afraid to ask for one, though please try to do so in good time. This is Lord Bowser, giving you a heads-up that your section(s) are due by December 14th. Please PM me your completed section on the forums by then. If you need an extension, don't be afraid to ask for one, though please try to do so in good time. This is Lord Bowser, giving you a heads-up that your section(s) are due by January 17th. Please PM me your completed section on the forums by then. If you need an extension, don't be afraid to ask for one, though please try to do so in good time. This is Lord Bowser, giving you a heads-up that your section(s) are due by February 8thth. Please PM me your completed section on the forums by then. If you need an extension, don't be afraid to ask for one, though please try to do so in good time. This is Lord Bowser, giving you a heads-up that your section(s) are due by March 8th. Please PM me your completed section on the forums by then. If you need an extension, don't be afraid to ask for one, though please try to do so in good time. This is Lord Bowser, giving you a heads-up that your section(s) are due by April 12th. Please PM me your completed section on the forums by then. If you need an extension, don't be afraid to ask for one, though please try to do so in good time. This is Lord Bowser, giving you a heads-up that your section(s) are due by May 10th. Please PM me your completed section on the forums by then. If you need an extension, don't be afraid to ask for one, though please try to do so in good time. The baby forms are not the same. This is Lord Bowser, giving you a heads-up that your section(s) are due by June 14th. Please PM me your completed section on the forums by then. If you need an extension, don't be afraid to ask for one, though please try to do so in good time. This is Lord Bowser, giving you a heads-up that your section(s) are due by July 12th. Please PM me your completed section on the forums by then. If you need an extension, don't be afraid to ask for one, though please try to do so in good time. This is Lord Bowser, giving you a heads-up that your section(s) are due by September 13th. Please PM me your completed section on the forums by then. If you need an extension, don't be afraid to ask for one, though please try to do so in good time. This is Lord Bowser, giving you a heads-up that your section(s) are due by November 12th. Please PM me your completed section on the forums by then. If you need an extension, don't be afraid to ask for one, though please try to do so in good time. Have a Fun (Stuff) Holiday! This is Lord Bowser, giving you a heads-up that your section(s) are due by December 13th. Please PM me your completed section on the forums by then. If you need an extension, don't be afraid to ask for one, though please try to do so in good time. 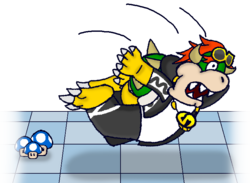 This is Lord Bowser, giving you a heads-up that your section(s) are due by January 10th. Please PM me your completed section on the forums by then. If you need an extension, don't be afraid to ask for one, though please try to do so in good time. Howdy, howdy! Fun Stuff reminder time! This is Lord Bowser, giving you a heads-up that your section(s) are due by February 19th. Please PM me your completed section on the forums by then. If you need an extension, don't be afraid to ask for one, though please try to do so in good time. This is Lord Bowser, giving you a heads-up that your section(s) are due by March 19th. Please PM me your completed section on the forums by then. If you need an extension, don't be afraid to ask for one, though please try to do so in good time. This is Lord Bowser, giving you a heads-up that your section(s) are due by April 13th. Please PM me your completed section on the forums by then. If you need an extension, don't be afraid to ask for one, though please try to do so in good time. This is Lord Bowser, giving you a heads-up that your section(s) are due by May 9th. Please PM me your completed section on the forums by then. If you need an extension, don't be afraid to ask for one, though please try to do so in good time. This is Lord Bowser, giving you a heads-up that your section(s) are due by June 13th. Please PM me your completed section on the forums by then. If you need an extension, don't be afraid to ask for one, though please try to do so in good time. Please PM me your Critic Corner section on the forums by no later than August 11th, 2015. This is Lord Bowser, giving you a heads-up that your section(s) are due by August 11th. Please PM me your completed section on the forums by then. If you need an extension, don't be afraid to ask for one, though please try to do so in good time. This is Lord Bowser, giving you a heads-up that your section(s) are due by October 10th. Please PM me your completed section on the forums by then. If you need an extension, don't be afraid to ask for one, though please try to do so in good time. A Very Fun Stuff Christmas! A New Era of Fun Stuff Starts Now! This is Lord Bowser, giving you a heads-up that your section(s) are due by February 6. Please PM me your completed section on the forums by then. If you need an extension, don't be afraid to ask for one, though please try to do so in good time. This is Lord Bowser, giving you a heads-up that your section(s) are due by March 11th. Please PM me your completed section on the forums by then. If you need an extension, don't be afraid to ask for one, though please try to do so in good time. I look forward to your section! A general theme we are going for this month are the 3D games, so if you could center your writing somewhere along those lines, that would be great. Of course, doing so is completely optional. This is Lord Bowser, giving you a heads-up that your section(s) are due by April 8th. Please PM me your completed section on the forums by then. If you need an extension, don't be afraid to ask for one, though please try to do so in good time. If you need to be late, that's okay, but please do not send last minute. This is Lord Bowser, giving you a heads-up that your section(s) are due by May 13th. Please PM me your completed section on the forums by then. If you need an extension, don't be afraid to ask for one, though please try to do so in good time. If you need to be late, that's okay, but as always, please tell me. This is Lord Bowser, giving you a heads-up that your section(s) are due by June 10th. Please PM me your completed section on the forums by then. If you need an extension, don't be afraid to ask for one, though please try to do so in good time. This is Lord Bowser, giving you a heads-up that your section(s) are due by July 8th. Please PM me your completed section on the forums by then. If you need an extension, don't be afraid to ask for one, though please try to do so in good time. I am honored to have served as your Fun Stuff Director for a year and a half. The next Director has not yet been decided, but starting August, please send all sections to him. If you have any questions regarding Issue 124, please send me a Personal Message or leave a message on my talk page. In the future, I'll still be around, so if you ever need help or need some proofreading, I'll be more than willing to help out. Please PM me your Critic Corner section on the forums by no later than July 8th. Help, I've become director of Fun Stuff and I can't get up! This is Lord Bowser, giving you a heads-up that your section(s) are due by August 12th. Please PM me your completed section on the forums by then. If you need an extension, don't be afraid to ask for one, though please try to do so in good time. Vote vote vot--I mean, turn in your section! Please PM me your Critic Corner section on the forums by no later than August 12th. This is Lord Bowser, giving you a heads-up that your section(s) are due by September 9th. Please PM me your completed section on the forums by then. If you need an extension, don't be afraid to ask for one, though please try to do so in good time. Please PM me your Critic Corner section on the forums by no later than October 14th. This is Lord Bowser, giving you a heads-up that your section(s) are due by October 17, 2017. Please PM me your completed section on the forums by then. If you need an extension, don't be afraid to ask for one, though please try to do so in good time. Please PM me your Critic Corner section on the forums by no later than November 11th. This ain't clutter; it's Fun Stuff! This is Lord Bowser, giving you a heads-up that your section(s) are due by November 14th. Please PM me your completed section on the forums by then. If you need an extension, don't be afraid to ask for one, though please try to do so in good time. Dermatologists hate her! Try this quick trick to get your section in on time! Please PM me your Critic Corner section on the forums by no later than December 16th. Please PM me your Critic Corner section on the forums by no later than January 13th. Please PM me your Critic Corner section on the forums by no later than February 10th. Please PM me your Critic Corner section on the forums by no later than March 10th. This page was last edited on March 4, 2018, at 16:36.